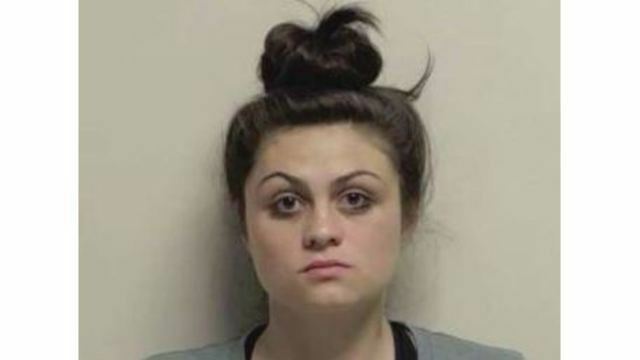 PROVO, Utah (KTVX) - Police find a woman walking the streets with bloody feet and a bottle of mouthwash on Wednesday. According to arrest records, Francesca Farias-Swenson, 20, was drinking mouthwash to get intoxicated. She called her boyfriend to pick her up, so they could go to Provo Canyon and talk. Police said Farias-Swenson got angry and started kicking the front window of the car, damaging it. Her boyfriend drove her to her parent's house where records state Farias-Swenson started kicking the car window again. She was not allowed in the house. Police said they found Farias-Swenson walking down the road with her feet bleeding from the glass window. Officers said she had a bottle of mouthwash with her and admitted to drinking it. They said she appeared to be intoxicated and asked officers if she could smoke a bowl of marijuana before going to jail. Records show a pill bottle that contained marijuana was found in her pocket. Farias-Swenson was booked into the Utah County Jail on charges of possession of a controlled substance, and criminal mischief. VIDEO: WHAT DID KEVIN DURANT SAY TO GET EJECTED FROM GAME?